Bringing the full power of Penn Medicine home. We've added space -- by 14,000 square feet, to be exact. But in the process, we've added much more. The Abramson Cancer Center at Chester County Hospital brings the full power of Penn Medicine home. With a world class team of oncologists, specialists and researchers. All in one place. All working to create the world’s most advanced cancer therapies, right here at home. Where you’ll grow and flourish. Completed in late spring of 2018, the expansion unfolded over three phases and effectively doubled the size of the cancer center. The first floor now hosts 25 exam rooms, a new intake area, two nursing stations, three phlebotomy stations (to take blood), an on-site laboratory, and an elevator to take patients to infusion services. The second floor houses 24 spacious infusion bays, including private rooms with space for loved ones in addition to community areas. A new state-of-the-art conference room has also been added, serving two critical roles: as a public education forum and communication hub for the physicians and advanced practice providers. The expansion has allowed the cancer center to host more specialty surgeons under one room, facilitating a more seamless coordination of care. Maureen Hewitt, MD, assistant medical director of the Abramson Cancer Center at Chester County Hospital, shares how this expansion will change the delivery of care to our patients. Conveniently located in West Chester, PA, The Abramson Cancer Center at Chester County Hospital provides accessible cancer care in a patient-friendly environment. Our oncology care services consist of prevention, early detection, diagnosis and treatment (including medical and radiation oncology and surgical management) as well as nursing and palliative and hospice care. The result is improved quality of care, strong clinical outcomes and high patient satisfaction. Penn Hematology/Oncology at Chester County Hospital offers comprehensive medical oncology and chemotherapy services provided by oncologists who stay abreast of the latest advances in the field. Penn Gynecologic Oncology at Chester County Hospital is devoted to the diagnosis and treatment of cancers of the female reproductive system. Our fellowship-trained medical team provides the latest treatment options for the best possible outcomes. Part of the largest Radiation Oncology program in the region, Penn Radiation Oncology at Chester County Hospital provides access to the most advanced radiation therapy options available to treat your cancer while staying close to home. The Penn Women's Specialty Center at Chester County Hospital provides the expertise of fellowship-trained breast surgeons combined with the compassionate guidance women need when facing breast issues. From routine screenings to urgent mammograms, Chester County Hospital offers the latest in imaging technology to detect breast cancer at its earliest stages. From breast surgeons to gynecologic oncologists to hematology-oncologists to radiation oncologists, our cancer experts represents a wide variety of sub-specialties. Early detection can save lives. Our regularly-scheduled cancer screenings help you learn your risk factors for cancer, identify potential cancers in their earliest stages and help prevent future illness and disability. The Cancer Risk Evaluation Program (CREP) is specifically designed for men and women who want information about their personal risk for developing gastrointestinal, breast or ovarian cancer based upon genetics and other factors. Nurse Navigators are experienced oncology professionals who can support you and guide you through your care. From the time you are diagnosed, they are available as dedicated members of your cancer care team to facilitate personalized cancer care for you and your family. Chester County Hospital offers a wide range of patient and caregiver services such as support groups, individual counseling by social workers, nutition counseling, financial counseling and more. At the Abramson Cancer Center at Chester County Hospital, we can offer patients the opportunity to participate in access to a wide range of clinical trials -- research studies that help oncologists evaluate new cancer treatment and prevention approaches. There are several locations and resources available for patients of the Abramson Cancer Center at Chester County Hospital. The Abramson Cancer Center at Penn Medicine Chester County Hospital is continually recognized for its excellence by the medical community. The Abramson Cancer Center at Chester County Hospital offers the region's most advanced cancer therapies and expertise. View informative videos from some of the cancer specialists from The Abramson Cancer Center at Chester County Hospital. Learn how you can contribute to and support the efforts of The Abramson Cancer Center at Chester County Hospital. 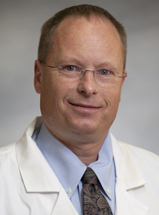 A member of Chester County Hospital's Medical Staff since 1993, Dr. William Luginbuhl serves as Medical Director of the Abramson Cancer Center at Chester County Hospital and Principal Investigator for cancer research trials. Dr. Luginbuhl is a graduate of the University of Vermont. He completed an internship and residency in Internal Medicine at the University of Florida. He completed a fellowship in Hematology and Oncology at the University of Pennsylvania. He board-certified in Internal Medicine, Hematology and Oncology. Dr. Luginbuhl has been recognized as a "Top Doc" numerous times by Main Line Today magazine.